Struggling to find a great first birthday present for a little person in your friends or family circle? 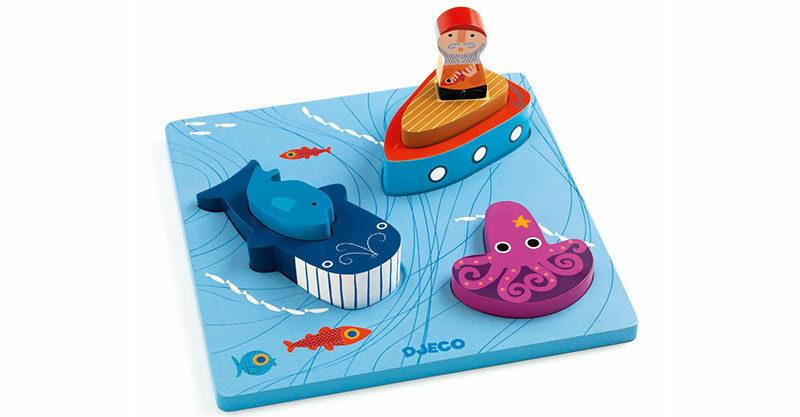 Solve the dilemma with an awesome 3D wooden puzzle from Djeco! A cute puzzle you put together by stacking the pieces, littlies will love solving this Djeco puzzle of what fits where. The beautiful 3D Moby Puzzle includes a chunky boat, deck, fisherman, whale, dolphin and octopus, all of which fit together on a solid wooden seascape board. The fun doesn’t stop with the bottom of the ocean, there’s also a 3D Farm Animals Puzzle with a menagerie of barnyard friends on offer. 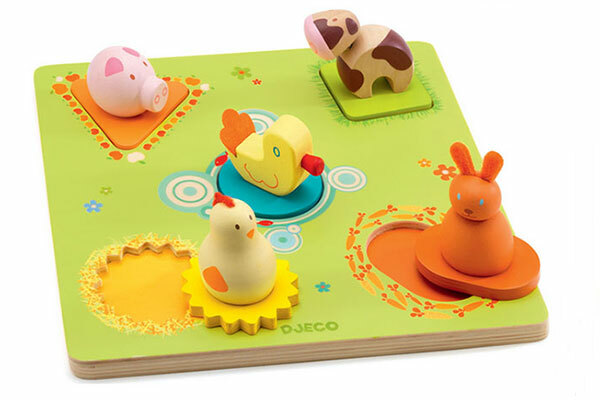 Djeco 3D wooden puzzles are available at Urban Baby, priced from $28.50.